AKDO’s design team was inspired by the rich beauty of fine home textiles and set out to create tile that captured the essence of something woven. 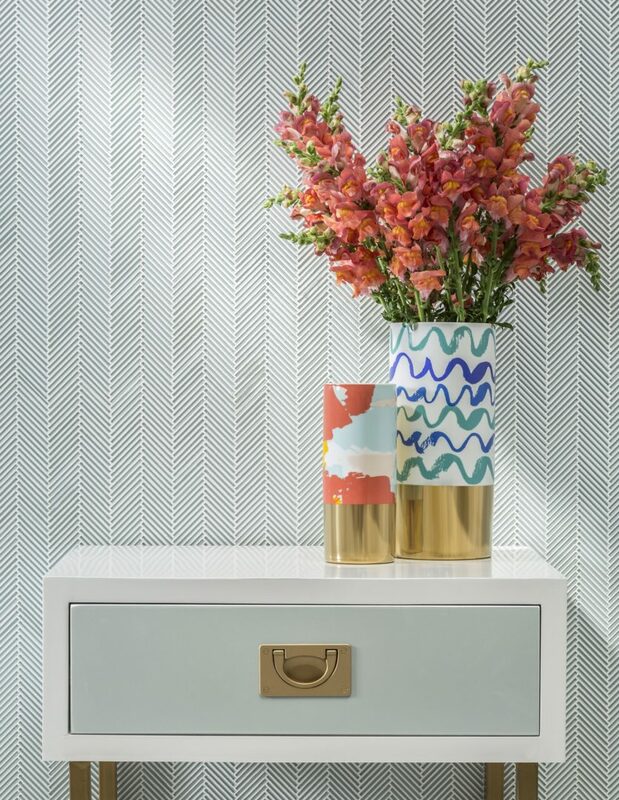 The result is a new finish that’s taking the design world by storm. 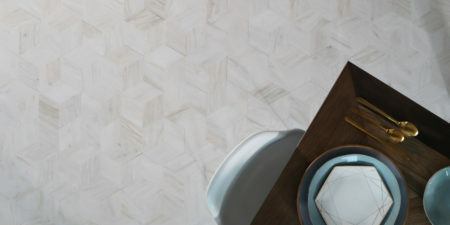 The new Textile Glass collection is a shimmery mix of delicate matchstick mosaics in blends of clear and frosted glass. These micro batons of glass have a unique glow because of their diminutive shape, which lets light pour in and bounce back, reflecting the changing light of the day or the room lighting. 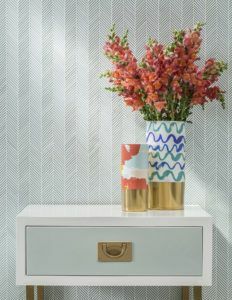 Patterns are Twill, a small herringbone, Ikat, a larger herringbone, and Loom, a stacked iteration. 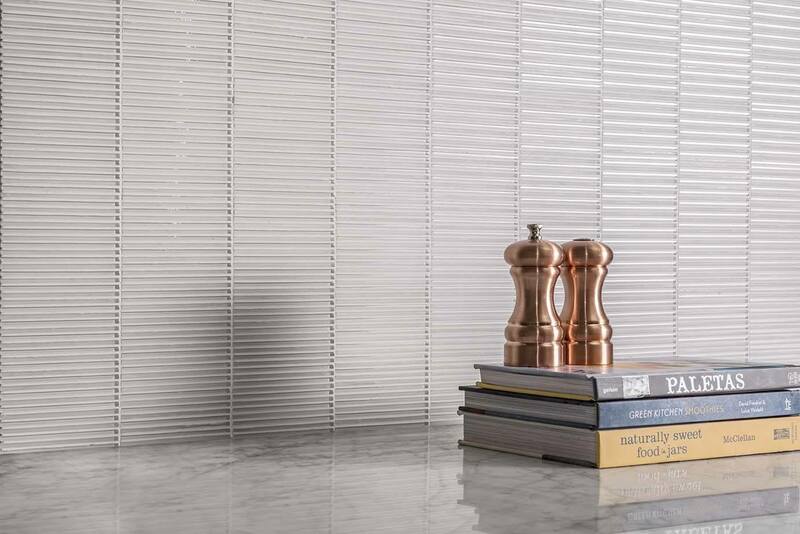 Textile Glass is equally adept at adding texture to a whole wall or creating a stunning focal point. 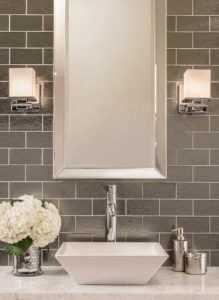 There is also coordinating subway tile for simple fields and to create entire room designs with Textile Glass. 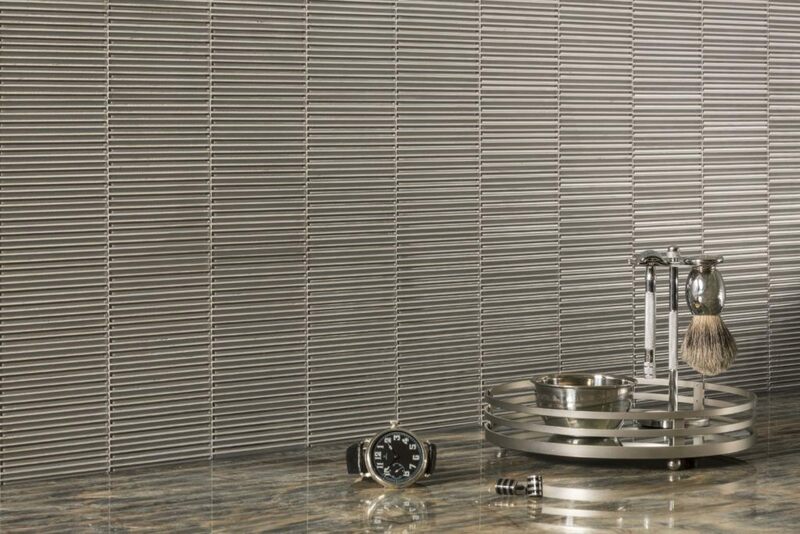 The Silver Silk and Gold Silk mosaics have a Venetian glass feel, yet equally evoke the ethereal look of the currently popular tissue gossamer, hand-loomed fabrics with metal threads. 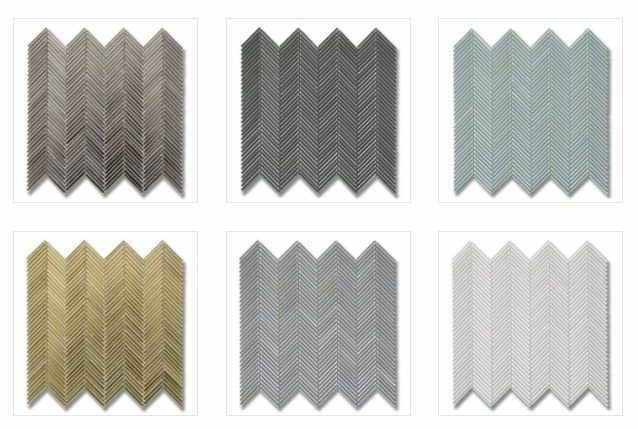 These metallics have also been selected by designers for rooms where they want to achieve and Art Deco look. 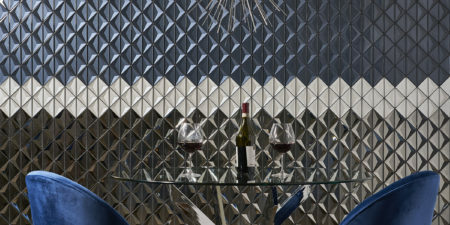 Subtle chameleons, the woven patterns can be designed into almost any style of interior. In solid neutrals of Arctic White, Icelandic Blue and a choice of either Dove or Lunar Gray, the Textile Glass shifts to something cool, subtle and very elegant. All of the color offerings mix and marry well with the full range of AKDO products. 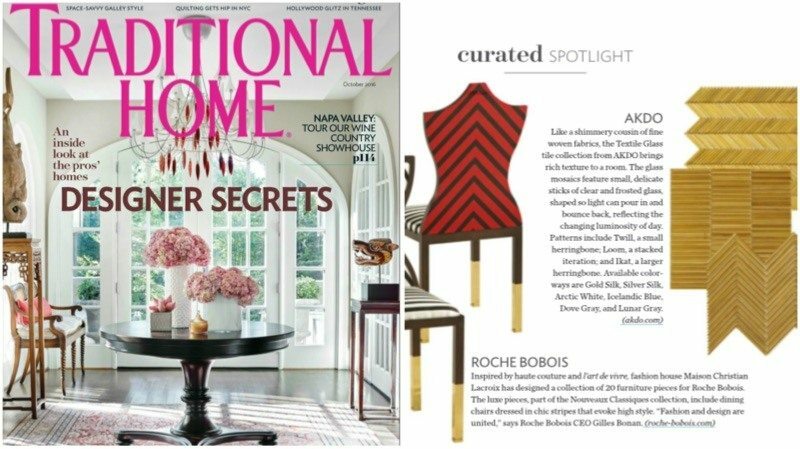 The collection has already been selected for two of the nation’s most prestigious designer show houses, Manhattan’s Kips Bay Decorator Showhouse and House Beautiful’s Kitchen of the Year showhouse in Atlanta. 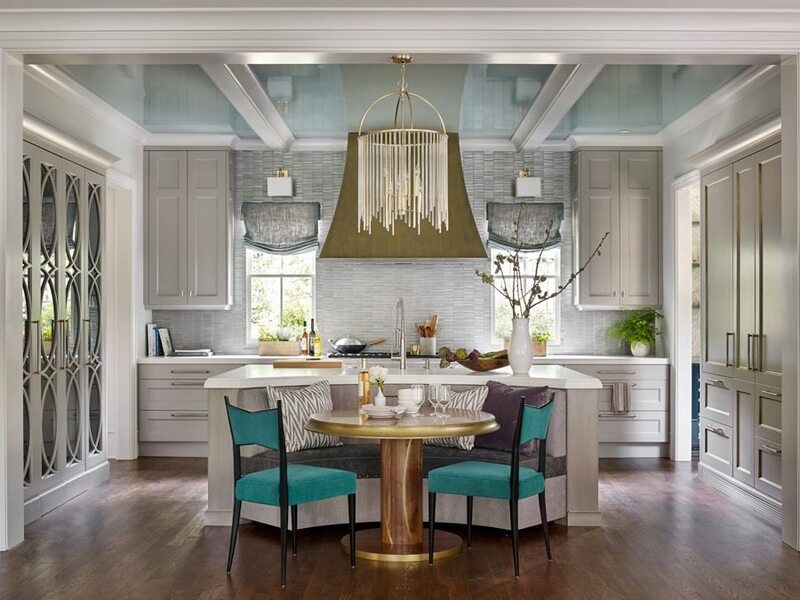 It has also been featured editorially in the country’s two largest shelter publications, House Beautiful and Traditional Home. Scroll this gallery for even more inspiration! 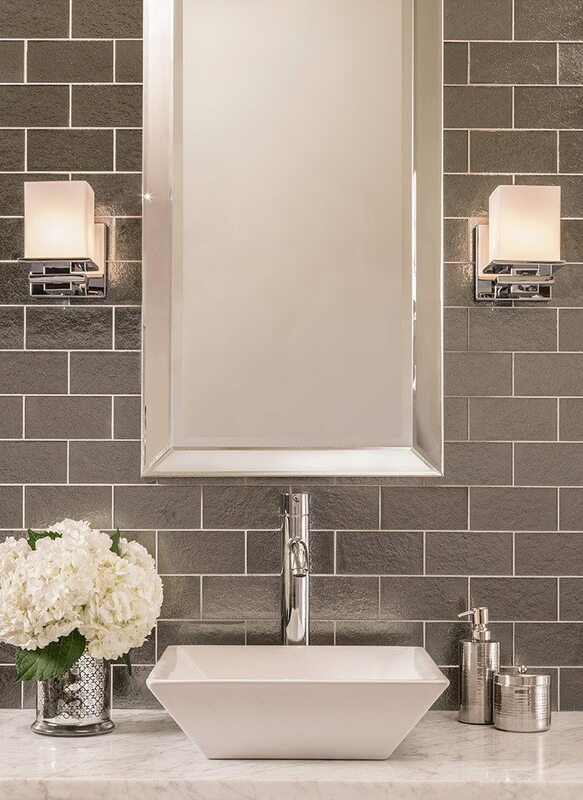 Loom in Lunar Gray Medium graces a gentleman’s dressing area with an Art Deco feel. 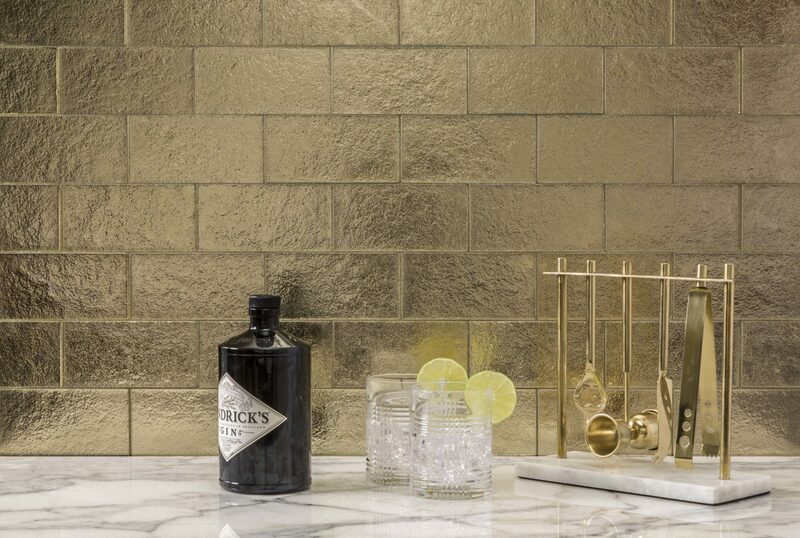 A bar that glitters in the matching Gold Silk subway tile. Loom in Arctic White is great for a kitchen as shown, or a bath. 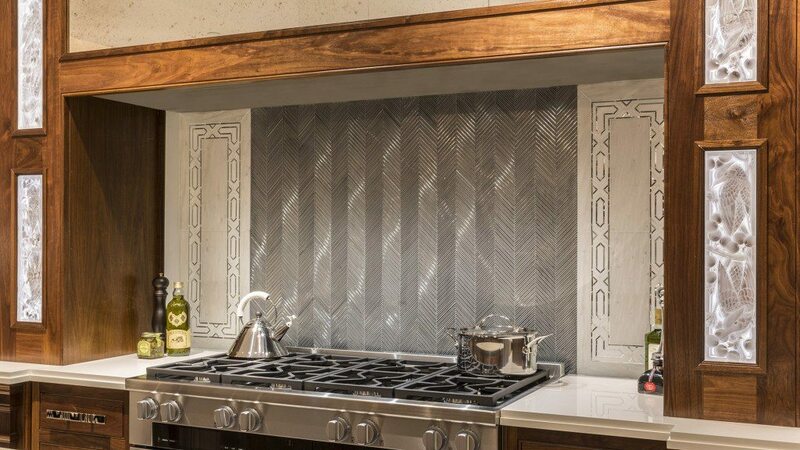 Textile Glass Mosaic in Silver Silk in the Ikat pattern creates a hearth effect. White Haze marble and an Allure radiance border complete the design, by Clive Christian for the Kips Bay Decorator Show House. 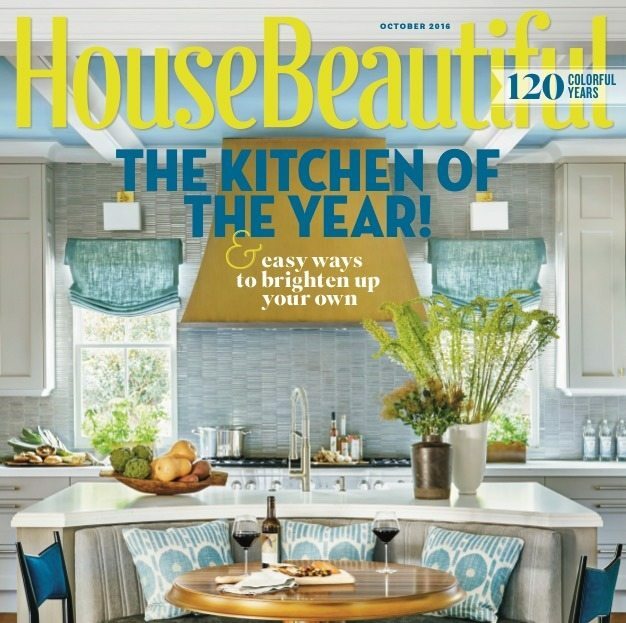 As seen on the cover of House Beautiful.